Double the fun and double the quilts! 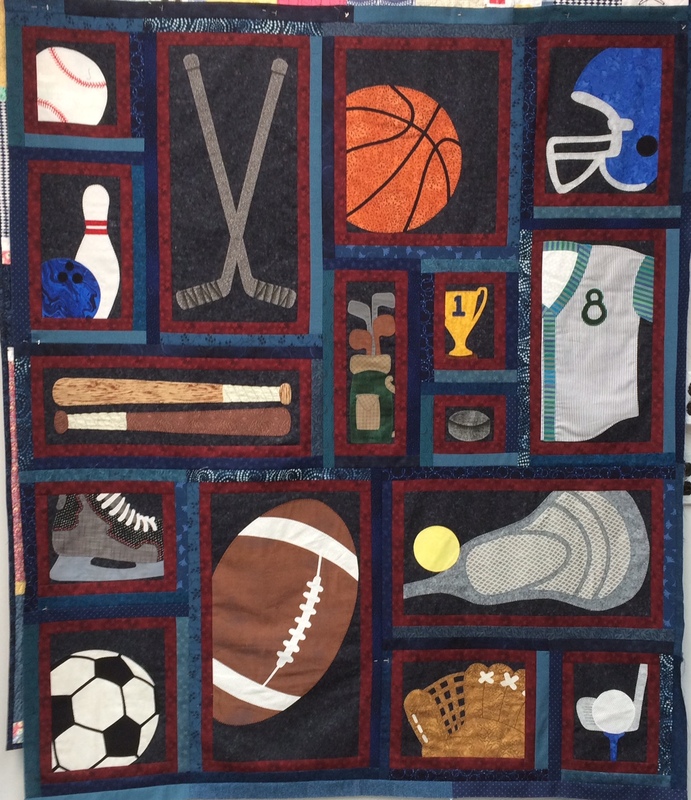 The progressive quilt for 2017 combines a dainty and fresh flower concept with the old pastime sports theme. Visit all four shops, purchase two fat quarters at each shop and receive the patterns for the flower quilt AND the sports themed quilt! 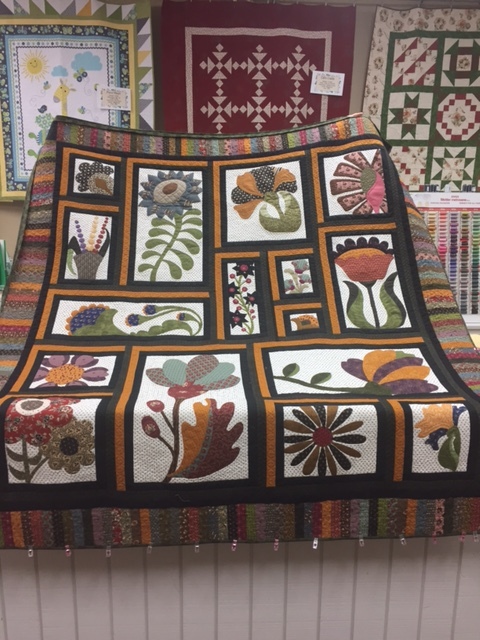 The same sampler layout can be used for either quilt and can be made as small or as large as you choose. Get 16 flower patterns AND 16 sports-themed patterns just by buying two fat quarters at each shop! Use these fat quarters in combination with your own stash. 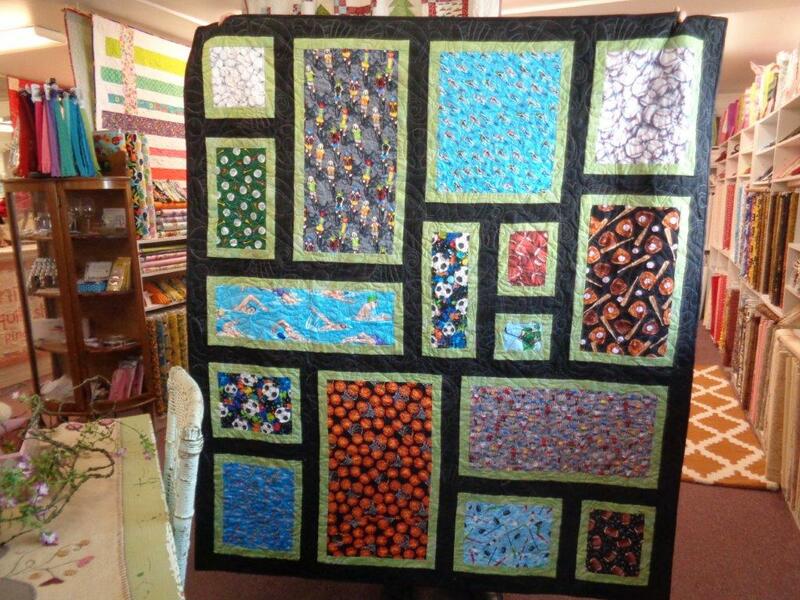 Bundles and kits will be available at each shop for their own sample quilt, if you like that option. The quilts were designed with flexibility in mind so that you can make customize the quilts to your fabric tastes and size choices! You have the fabrics and we have the perfect patterns!